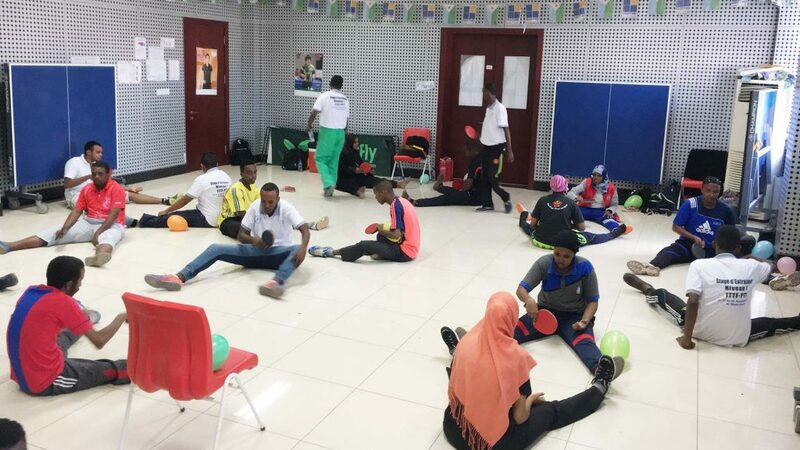 Situated on the Horn of Africa, Djibouti was the home for a recent ITTF/PTT Level One Coach Education Course; proceedings commenced on Thursday 27th October and concluded on Friday 4th November. Supported by Olympic Solidarity and organised under the auspices of the ITTF Development Programme; the expert on duty was Frenchman, Cédric Rouleau; a total of 23 students attended. A detailed itinerary, Mahamoud Oumar Omir, the President of the Djiboutian Table Tennis Federation opened proceedings. He thanked all the course participants for enrolling; in particular noting the fact that all were volunteers. Notably five of the members were physical education teachers; the goal being to increase participation in schools. Officially accepted as a member of the International Table Tennis Federation at the Annual General Meeting staged in 2005 in Shanghai; Djibouti has made gradual progress in the intervening years. Togo’s Kaka Lawson conducted an Olympic Solidarity ITTF Level One Course in April 2007 as did Algeria’s Karima Tellaa in December 2008 and May 2011. Meanwhile, Switzerland’s Georg Silberschmidt celebrated New Year in Djibouti in January 2015 but it is France that there has arguably been the greatest influence. Patrick Ringel conducted a Basic Umpires, Referees and Tournament Organisation Course in December 2014 and January 2015; more recently Carole Grundisch was the visitor just under one year ago. She led a Women’s Course which included a Training Camp; the initiative commenced in late December 2015 and concluded earlier this year in January. Notably as a result of the support, Djibouti can boast two table tennis Olympians. Yasmin Hassa Farah competed in the London 2012 Olympic Games; four years later Fatouma Ali Salah was on duty at the Nanjing 2014 Youth Olympic Games. Competing at a high level; arguably more important is the progress that is being made at ground level. Currently under the direction of Rahma Houssein and Oumalkaire Atteye; a direct result of the visit made by Carole Grundisch, a project is in place where more than 20 girls aged eight to 12 years are practising three times per week. 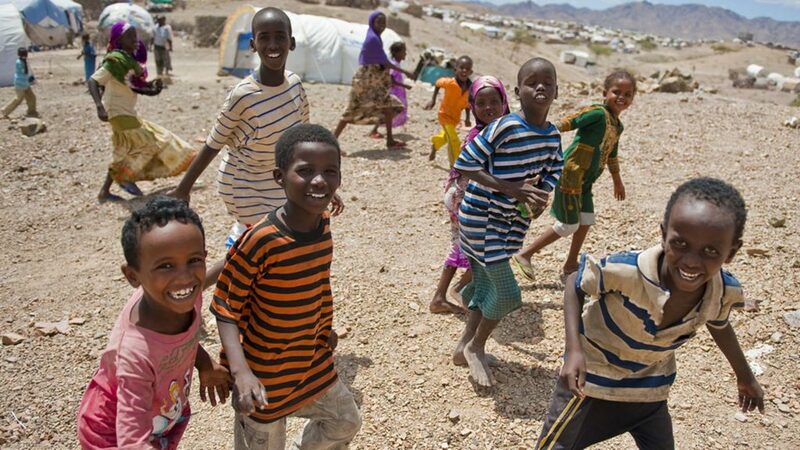 Raising playing standards, in addition Djibouti is very much involved in the humanitarian aspect of life; in 2015, increased fighting in Yemen led to thousands fleeing to Djibouti. 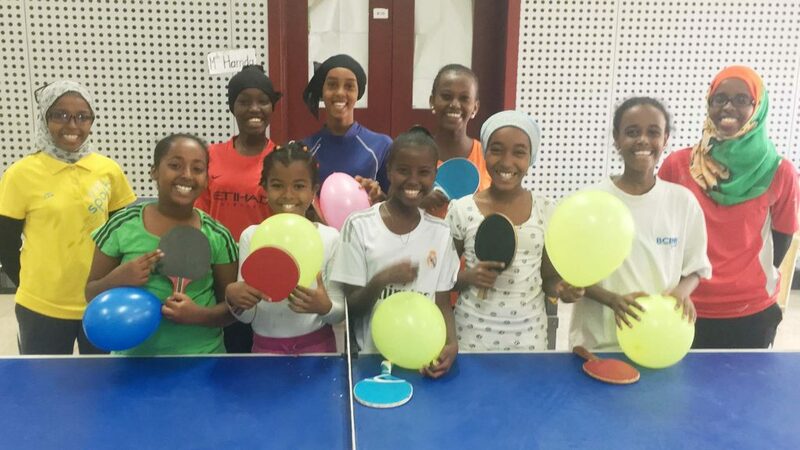 Table tennis has proved an ideal sport for the refugees. Now Djibouti is looking ahead; Thursday 6th April written is written in capital letters on the calendar, World Table Tennis Day.